Bayer AG has vowed to step up its defence against a wave of US lawsuits over the herbicide Roundup as it began the formal integration of Monsanto Co, acquired for $66bn (€58bn) in June. The German drug and chemical giant said it will formally absorb the US company after selling some crop-science businesses to competitor BASF SE to resolve regulatory concerns. Because US authorities insisted that the businesses operate separately until that sale was complete, Bayer said it previously had been barred from steering Monsanto’s legal strategy. That will now change as the stakes mount in the US battle over Roundup. Bayer is facing $289m (€254m) in damages after Monsanto lost the first court case stemming from claims that the weed killer causes cancer. Even if a judge overturns or reduces the award, the trial will probably be the first of many: More than 5,000 US residents have joined similar suits. €16bn ($18bn) in market value last week, after the jury’s award in the Roundup case. Bayer said it believes US courts ultimately will find that glyphosate, the main ingredient in Roundup, wasn’t responsible for the cancer of the California school groundskeeper who was the plaintiff in the recent case. It’s planning an appeal. Monsanto has insisted for decades that glyphosate is safe. The latest fall in the shares came after Monsanto failed to block California’s move to list Roundup as a known carcinogen. 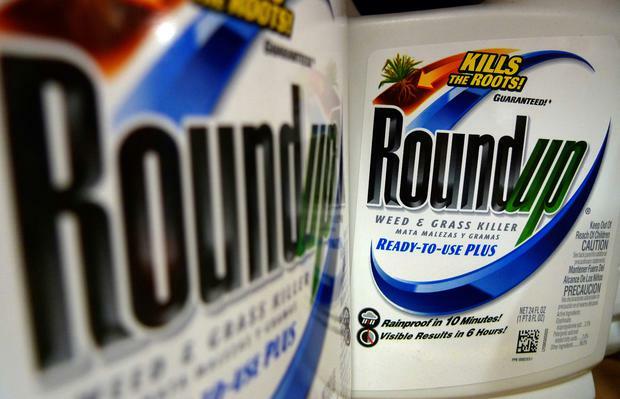 The state’s supreme court declined last Wednesday to hear the US company’s arguments as to why Roundup, the world’s most widely-used weed killer, doesn’t belong on the state’s list of chemicals known to cause cancer. An appeals court had rejected the company’s arguments in April. Bayer said it’s considering its options for further legal action regarding the California listing, saying it “requires judicial intervention and correction”. Bayer is also facing lawsuits in the US over dicamba, another herbicide in Monsanto’s portfolio. The German company said it will also take an active role in any claims for damages over dicamba.